Selected Villas for rent near Dining on the Rocks (Koh Samui) - Contact us now! 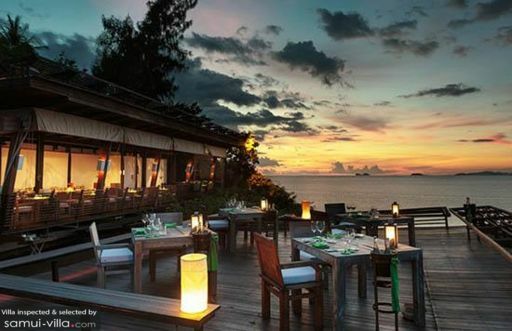 Samui travellers in search of a romantic setting for a special meal will not be disappointed with Dining on the Rocks. Situated by the coastline on a rocky outcrop, the restaurant overlooks a vast expanse of turquoise waters. Guests may take a seat by the table, or plop down on one of the pillowy lounge seats filled with massive cushions. Visitors can expect to find a wide selection of fusion food on the menu. Yum.